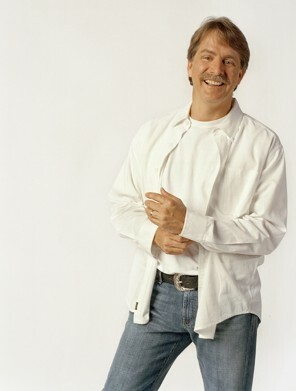 The American Bible Challenge, hosted by Jeff Foxworthy, premiered on the GAME SHOW NETWORK last night. Did you see it? I believe that the Bible is the holy, inspired, infallible, all sufficient, precious Word of God and should not be treated any less. So I was somewhat apprehensive when I first heard about this new game show. Would it turn out to be offensive? Or, make light of God’s Word? Or, could it possibly be a show that glorifies God and His Word? Would people be encouraged to study the Bible and learn more of it by watching this? 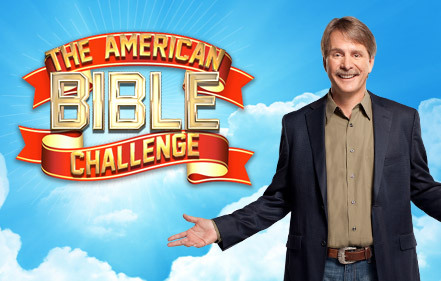 I must say that after watching The Making of the American Bible Challenge (you can watch it here) and catching the last few minutes of last night’s show, I believe that The American Bible Challenge does appear to be a “win-win”. Jeff closed the show with, “If you don’t know your Bible – You don’t have a prayer!” I couldn’t agree more and will add that if you don’t know the God of the Bible and His Son, you certainly don’t have a prayer! My prayer is that this show will be successful and that many people will be pointed to God and His Word through it. If you haven’t seen it yet, check out the below sites. By the way, I have my own Bible Challenge for you. What book in the Bible tells us that hell has enlarged herself? *****The first person to comment and correctly answer this question will be sent a Zondervan Quest Bible and The American Bible Challenge T-Shirt. Disclosure: I received the give-a-way product mentioned above for free in the hope that I would mention this on my blog. You were fast! Email me your address (untilthedaydawn@gmail.com) and I’ll send your prize to you! Blessings!